Yet another week has passed by, and my birthday is just around the corner. As mentioned in the first column of the year, this is the year of the Rooster. I will be 24 in only five days, which means I am a "toshi otoko," which means "boy of the year." I suppose that every 12th year is supposed to be good for people born under that zodiac sign, and I can't really complain. It's been a good year, but I can't believe that it's been a year since my last birthday. I also can't believe that I'm going to Kyoto for my birthday. I suppose it's no surprise, but I'll be posting a nice selection of pictures of Kyoto in the fall upon my return. The city should be beautiful from what I've heard. I don't think I even played any video games this week, as odd as that sounds. But I will be getting Dragon Quest VIII and Mario Kart DS for my birthday. My fiancee is hand delivering them to me, so I should be able to give my impressions of both games in my column for November 29. Also, assuming the DS likes my Wi-Fi, anyone wishing to race me can email me a friend code. I'll be more than happy to test my skills against any of my readers. As for this week's title, "onigiri" is what we call a "rice ball." They're pretty easy to make, but I'm not good at making them look pretty. I just cook cook some rice, brown some shaved beef, slap it in a sheet of nori (seaweed paper), wad 'em up, and eat them. I've noticed that it's easier if I roll them like a sushi roll, so I believe I will do that. If you're looking for an easy meal and have access to nori, making your own onigiri is pretty simple and tasty. That said, let's get out the nori, and get this party started! This is a sad, sad week. Five games made the chart, and they were led by Mushiking: Battle of the Beetles. The top slot belongs to yet ANOTHER pachinko game called Daito Giken Koushiki Pachi-Slot Simulator: Ossu! Banchou. Pretty much, there's not much else to say. That said, let's see those depressing numbers! Gust and Banpresto have recently revealed some details about their upcoming Ar Tonelico. The game allows players to create and interact with a heroine called a Levantiel that sings magical songs while traveling through their inner worlds by going on Dives. The inner world is known as the "Cosmo Sphere," and the deeper you go in, the player forms stronger bonds and more trust with the heroine. But it's not as simple as just jumping off a springboard into the heart of their heroine. This is facilitated by finding a "Dive Shop" and using acquired "Dive Points." Dive Stores are located in several locations, but since Dive Points are the proof of the strength of the bond between the hero and the heroine, they aren't as easy to come by. 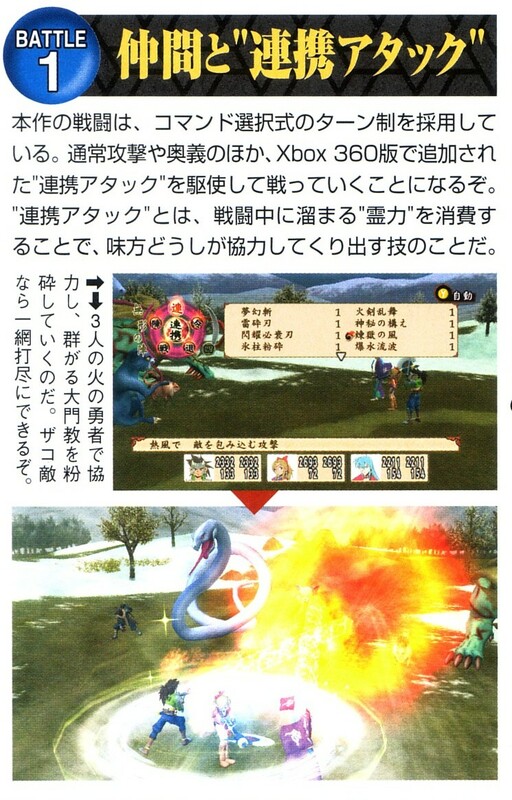 To net DP, the player must get in fights, but it's not enough to simply defeat all the monsters. The player must have the hero do things to directly help the heroine like taking hits meant for her. This is possible because the battles are set up with two rows; three people take the front to protect the heroine who occupies the back row by herself. From her protected spot, she sings battle spells that cause damage to the monsters. Progressing in each heroine's Cosmo Sphere is not just a matter of destroying all the enemies that pop up; you must try to solve their inner worries and heal their emotional wounds. Some of these problems take the form of monsters to defeat, but not all of them will. 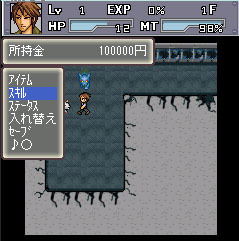 To find the answers, the player must throughly explore her Cosmo Sphere and have the heroine confide in the player. Luckily, this task is not accomplished alone; each heroine has an inner guide that manifests inside the Cosmo Sphere and knows everything there is to know about the heroine. By asking that guide, players can gain valuable hints to help them solve each level of the Cosmo Sphere. Upon completion of the Cosmo Sphere level, something called a "Paradigm Shift" occurs, and a deeper level of the heroine's Sphere opens. But that's not all; she also gains a new outfit and new songs for her arsenal. Some new information about those songs has also come to light. They are called "Humnos" and bring about powerful magic effects. By acquiring special "Humne Crystals," installing them into a Levantiel, and activating them with a "Humne Code," the Levatiel gains new and more powerful magic. There are twelve different Humnos, and each one is performed by one of four different J-pop singers: Shimnotsuki Haruka, Shiho Akiko, Motose Norkiko, and Ishibashi Yuuko. These singers will also voice the four main Levantiel in the game. As for the Levatiel, it seems that there are two sub-races of them. The first are Beta Levantiel, and they are purebloods. They look like humans and other Levatiel, but once they reach adulthood, they stop aging. This gives them a very long lifespan and immense power. The other race are called 3rd Generation Levantiel, and they are actually half-bloods born of a Levantiel mother and a human father. Their lifespan is much shorter than a Beta, and while they are able to sing the Humne songs, they are much less powerful than their pure-blooded cousins. Also, not all children born of a human/Levantiel union are 3rd Generation Levantiel. Some information surrounding the world of Ar Tonelico, Sol Sheil, has also come to light. The world is a floating island with a single tall tower. Sol Sheil used to be an entire world that boasted an extremely advanced society, but an unnamed disaster destroyed the sky and most of the earth long ago. A second great disaster followed shortly afterwards that eradicated most of the advanced technology. Those anxious to dive into their own Levantiel heroine can do so on January 26 for 7040 yen. 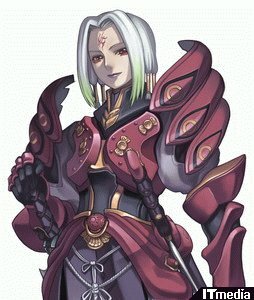 Ayatane Michitaka - He's a good friend of the hero, Rainar, and he is a knight of Elemia, one of the two major factions in Sol Sheil. He's normally a very warmhearted and considerate person that even goes so far as to cook, clean, and do other domestic chores without being asked. Clare Blanche - She is the mistress of the bar "Nemo" and a class-B Levantiel. She doesn't belong to either of the two major power factions unlike most other Levantiel. She works for a living, and she uses her money to get the special medicine that the Levantiel need to keep living. She sings nothing but healing songs, and she refuses to sing anything that will hurt another. She never joins the party, but she does support Rainar and friends from the sidelines. 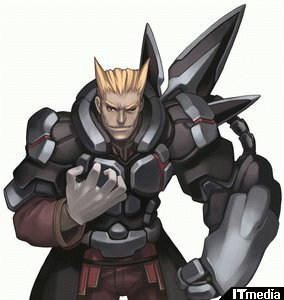 Boldo Reido - He is second in charge for Tenba, one of the two major powers on Sol Sheil. He is an excellent and hardened soldier that relies on brute strength. He regards the Levantiel more as useful weapons rather than seeing them as people. With the upcoming release of Final Fantasy IV just around the corner, a boxed set with: the game, a dark blue GameBoy Micro, and the previously announced face plate (that will also be a pre-order bonus for those that don't feel the need for the bundle) has been announced. The whole set retails for 17,200 yen on December 15. For comparison's sake, the game retails for the standard 5040 yen, and all flavors of the Micro have a sticker price of 12,000. 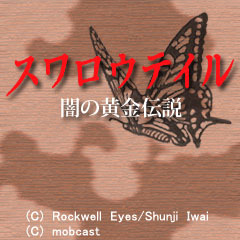 Mobcast is bringing a new RPG to FOMA series mobile phones called SwallowTail: Yami no Ougon Densetsu. The game is based on the 1996 movie directed by Iwai, and the game itself is directed by Okuda of Shin Megami Tensei fame. 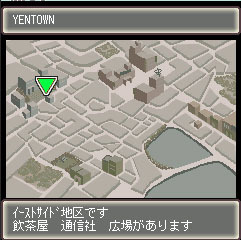 The game takes place in "Yen Town," a dog-eat-dog city where everyone is out to make as much money as fast as possible. The main character is no different, and he wanders into town following the legends of huge fortune hidden somewhere in Yen Town. 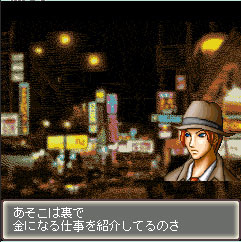 As for the game, players will take various kinds of jobs ranging from simple searches for rare items to dangerous jobs involving the mafia. Luckily, players won't be alone; characters from more than sixteen different professions like detectives, fighters, and programmers will lend a hand. Also, players will be able to buy items in shops or in dungeons, and items can be combined to make new items. Like many other games, it will be possible to compare how you're doing to other people's progress in the game via a ranking system. You can post high scores for things like number of defeated enemies in certain dungeons, money received, number of turns taken, number of floors cleared, and so on. If you have a compatible DoCoMo FOMA phone, all this can be yours for 315 yen per month. Nippon Ichi has opened the website for the upcoming Disgaea anime. Currently, the page has no information other than the logo, but we'll have our eyes on it looking for updates. Hudson is planning a remake of the original Tengai Makyou for the XBox 360 called Tengai Makyou Ziria. As for the battle system, it will be similar to the original, but a new "Combo Attack" has been added to the list of actions. By spending "Spirit Points" that are gained in battle, several characters can work together to pile on plenty of extra damage. 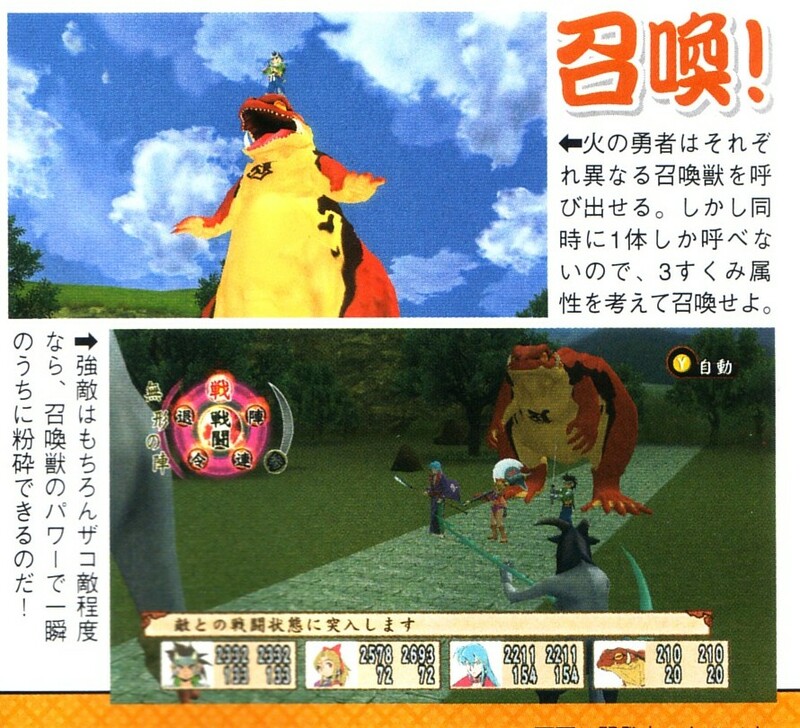 It is also possible to summon, and while each character has their own unique monster, only one can be brought out at a time. Jiaraiya's summon beasts are fire-breathing "Gama" toads, Tsunade calls giant slugs, and Orochimaru can bring white snakes out to play. 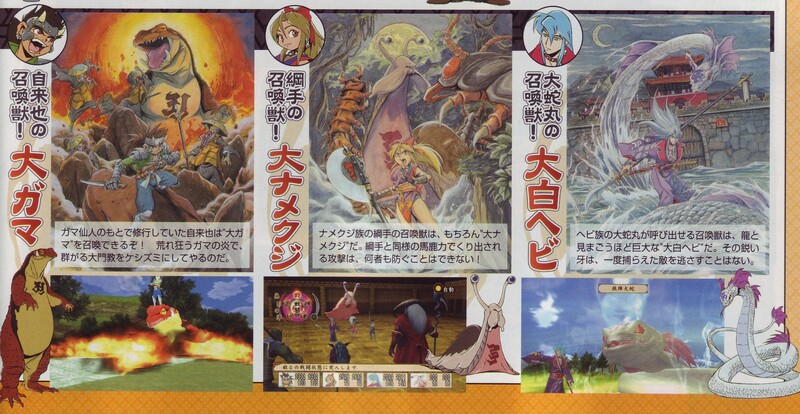 The summons function as extremely powerful fourth party members, but summoning them requires a large chunk of power on the part of the summoner. 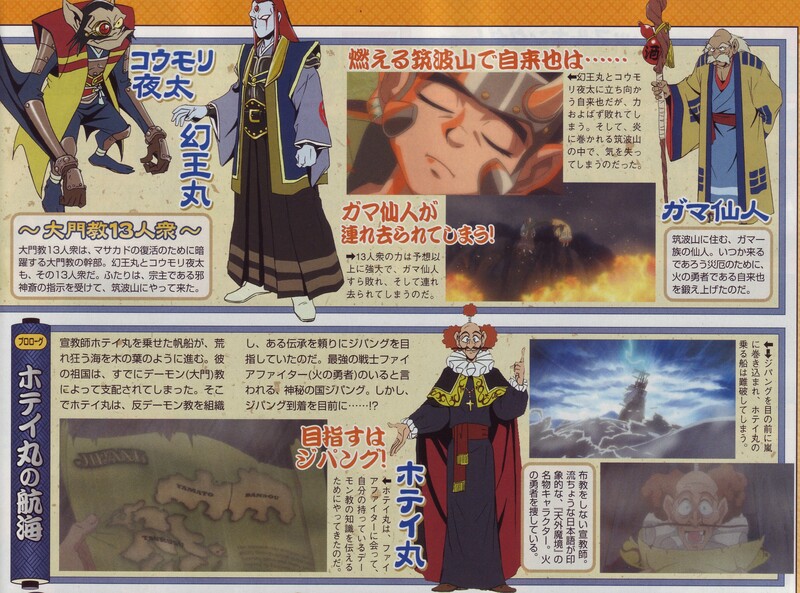 Three more characters were named in the scan. Two new bad guys named Koumori-yata and Genoumaru. They will work their evil deeds in the shadows to try to revive their master, Masakado. The other new character is a priest named Hoteimaru that is searching for the heroes so he can teach them everything he knows about the enemies they will face. 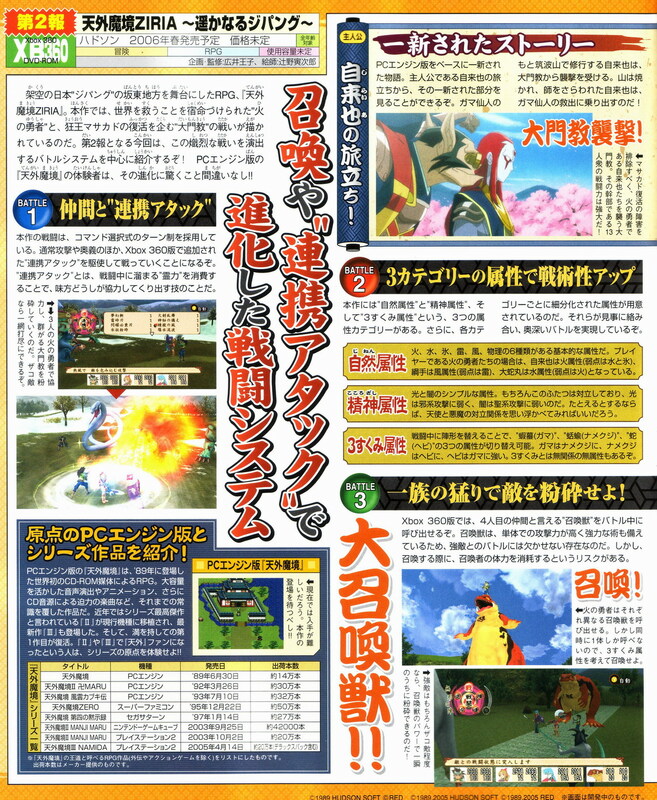 Tengai Makyou Ziria is set for a spring 2006 release in Japan. None of the other games in the series have crossed the pond, but games surprise people all the time. Keep looking to RPGamer as new information comes to light. This week I got a few letters, including one from a regular that just BARELY made the cut-off for this week. It seems that there is a building interest in writing in Asian languages, so I'll do my best to answer any questions I can about that. Also, it is looking like I might not get to do a column next week, but I've got someone to fill in. Bryan Boulette will be taking the reigns for one week. Some of you may know him as Aethelred, but his name is usually plastered all over our index. He's a good guy, and he's volunteered to try to do a QnA, so toss him a letter or two. That said, let's kick get start answering some mail! Howlifeminesfine! Here's another e-mail from your regular and loyal question-asking e-mailer (or whatever)! Thanks for answering my questions last time! So that's how those keyboards work, SMS-like typing! About that IME, I have no idea if you know what Chinese is like, but from what I know the Chinese language has quite different sounds for each vowel: short, long, etc. How do you type those with English characters (or maybe I should ask this my Chinese friends about it)? You know what's actually cool, a OLED keyboard (which isn't out yet): http://www.gearlive.com/index.php/news/article/optimus_oled_keyboard_07131058/. It's not only handy for games and applications, but also for character sets for other languages. It would be cool if it changes real-time (when you press SHIFT or ALT or something like that). Maybe you can even play mini-games on it! I actually had no idea the Vietnamese language had another character-set (I always thought it was the Western one). I also had no idea your fiancée was Vietnamese, she looked South-East Asian, but could not put the finger on the pols what exactly. The question of Alfonso last week also makes my wonder, so it seems that you can get most of your electronics/games in your town, do you ever order anything online? Is online-shopping in Japan even popular? I don't know what it's like anywhere in the world, but here in Holland, eventually everything is cheaper when you order it online - hell, even from other countries is cheaper than buying in shops here. Of course, I need to get my Bemani-games, which you can't buy in shops here. So maybe there are some things you need to buy online, because there might be times when you're too lazy to go to the city or when it's more expensive? Is the city far, BTW? Oh yeah, happy early birthday (in case I forget to say it next week)! Make nice pictures (you can share with us), make a good wish and tell us about your day and your presents! Would you care sharing your age? That's it I guess... have a fun week! PS. Do you really remember those quotes (like that from Holy Grail)? I really have to Google for it! PS2. PSP at launch?! How long did you stand in line for it or was it pretty short there? As for the keyboard you linked, that thing DOES look mighty sweet, but considering its price and the fact that I'm not sure that it's Mac compatible, I think I'll spend my $2400 on a new LCD TV next year. As for typing in Chinese or Vietnamese, like I mentioned last week, an IME is used. Chinese uses pinyin to convert their characters into a western alphabet. It's phonetic, but the rules for pronunciation are beyond me. Caroline's best friend laughed at me as I tried to read things in Chinese to help her do her homework. She had me help because I could read some of the characters and she was doing a vocab drill. Vietnamese DOES use a western character set, but they have many, many accents. Without the accents, someone can only guess at the pronunciation, and things like vowels can change completely. It's pretty complicated, but I'll probably learn it in time. At least I hope I do. To get to another of your questions, I have not played Code Age, but I do agree that it looks spiffy. I've been having trouble playing games in Japanese, so I've not picked up many games recently. I may get a couple on my way out, but I dunno. And while we're on this topic, I do use the internet a little but, but my lack of a Japanese-based credit card makes it harder to shop online. I also don't know many good methods of searching for things harder. I don't do a lot of shopping anyways. I tend to save the bulk of my money. It's how I saved almost half of my yearly salary in one year to buy my engagement ring. Thanks for the questions. I don't mind them, and I know that I can always count on you for a letter. And since you asked about the quotes, sometimes I do use google to help me. I have an idea in mind, but run a search to get the exact quote. Or sometimes I'm just in a mood for a quote from something, and I run a search for ideas. It's a mixed bag. Feel free to keep sending in letters every week! Wow, you're going to Kyoto for your birthday? That's awesome! I hope you'll have plenty of pictures for us when you return. Oh, and make sure you take a stroll in the bamboo forest I've heard about in Arashiyama. Okay, my question for today is: do the Japanese sell their cherry blossom trees a.k.a. Sakura? While I am going to Arashiyama, I'm not really going for the bamboo forests. I'll see one at Kodai-ji, a temple I'm planning on revisiting with Caroline. I'm hitting Arashiyama for Monkey Park and Tenryu-ji. As for the sakura trees, they don't sell them. It seems that they are very weak trees, and they are hard to move. In fact, just snapping part of a branch can have serious effect on the tree in the future. This is why you only see them here and not in America. Be nice if we could enjoy them there though, they are quite pretty. Thanks for writing, and look for my pictures in an upcoming column. I'm definitely going to post them here. Is the sentence"Jyuusu o nomimashita" actually an active voice, as in "I drank juice", or passive, which would mean when translated, the verb "drunk" would be used? So then, I'm also confused about the meaning of: "Jyuusu ga nomaremashita". I've not looked around for an art book, but I would imagine that it's out there somewhere. Keep looking. I recommend Amazon.co.jp. It IS possible that one doesn't exist. I wish you good luck in your search. I hope you don't mind me taking out your Japanese. Due to my encoding, I don't know how to do Japanese text. To answer your question, ~mashita is the polite simple past, so "nomimashita" means "drank." The second example you gave was the correct passive. That is formed by using remashita with the 'a' column of the stem form. Hope that helps, and thanks for writing! With my fiancée coming in, most of my thoughts have centered around that this week. I'm sorry this led to the column being a bit late. I've got someone lined up to give what I hope will be a wonderful guest column, so everyone still gets their weekly Japan news fix. Hope everyone has as good a week as I'm looking to have, and enjoy all your new games. November 15 was a good day to be a gamer.